Last edited by sculptor on Sat Mar 31, 2012 10:28 pm, edited 1 time in total. I like the sleek shapes of the flying animals. 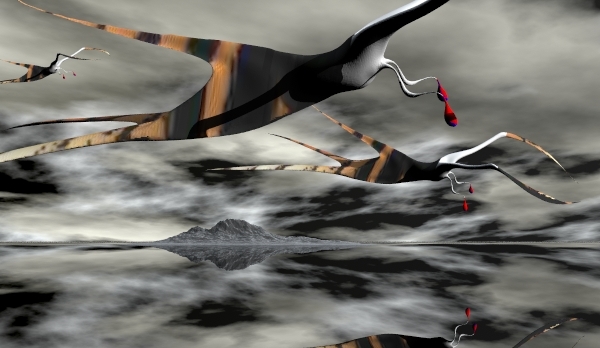 The strong grey fractal clouds flatten the image out and and makes the environment more abstract.